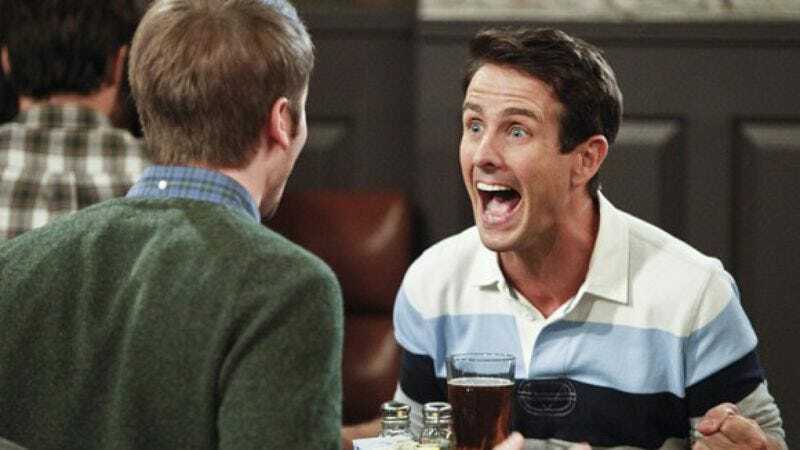 Joey McIntyre’s made a second career of playing versions of himself on TV: He was a member of a close-knit Irish working-class family in CBS’ The McCarthys, and as part of Rock This Boat: New Kids On The Block, he plays a middle-aged boy-band member a.k.a. himself. But McIntyre’s ready to stretch himself by playing, you guessed it, a fictionalized version of himself in a new half-hour comedy. Deadline reports McIntyre’s landed his own show at Pop, the network formerly known as the TV Guide Network, because makeovers aren’t just for ABC Family. The Joey McIntyre Project (that’s a working title) will see McIntyre trying to “branch out from his New Kids On The Block fame and continue towards his goal of becoming a serious actor”. (A good way to start is with a show on the same network that runs the reality series you appear on with said band.) But before he can get to the (fictional) prestige films, McIntyre will make a stop in Larry Sanders land by hosting a (fictional) talk show. He’ll also have to balance work with his family life, which presumably includes his NKOTB brothers. McIntyre will co-produce along with Donnie Wahlberg and Jenny McCarthy, who have also appeared on such illustrious reality series as Wahlburgers and Donnie Loves Jenny. Pop appears to be loading up on the reality shows—the network is also developing Celebrity Escape Room, which will throw celebrities into a room where they’ll have to solve puzzles and such in order to escape the room, kind of like Cube, we guess. Pop is also working on something called I Watch With My Girlfriend, a panel show in which guys with “traditional guy tastes” in media will be forced to watch things they wouldn’t watch without their girlfriends at their sides, a cold beer in one hand, and the other hand down their pants. It will be hosted by writer-comedian James Pumphrey, who, because he’s more interested “girl” shows like The Bachelor instead of sports stuff (ew), will try to offer an opposing view.